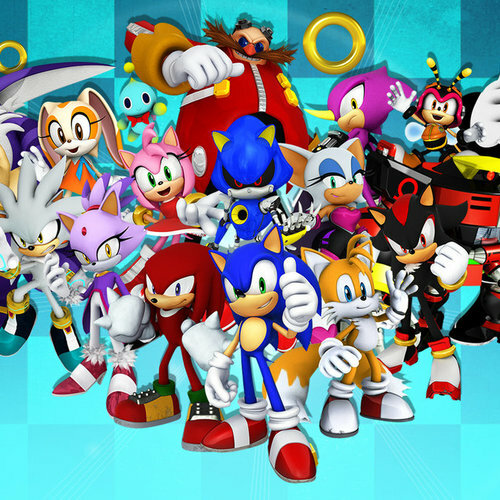 Casting Call Club : Sonic the hedgehog comic dubs and skits. Casting Call for Sonic the hedgehog comic dubs and skits. Sonic the hedgehog comic dubs and skits. About Sonic the hedgehog comic dubs and skits. - A decent mic so I can hear you voice clearly. - A Email and/or Skype or a Discord preferably Skype. - And a good aditude. 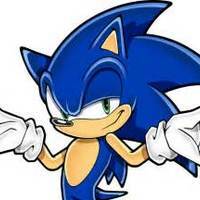 Sonic is a blue Hedgehog who likes to keep going fast. Although he is mostly quick-witted and easygoing, he has a short temper and impatient with slower things. He is also known to be the hero around town. Sonic is a habitual daredevil who is honest, loyal to his friends, and keeps his promises. His voice is similar to a common 18 year old teen. Try to sound as close to the Jason Griffith sonic voice. Yeah, you were almost squashed like a pancake. Come on, lets get out of this cold rain and have some hot chocolate. 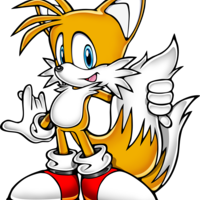 Tails is a smart two tailed yellow fox commonly found by Sonic's side knowing that Tails is Sonic's Sidekick. Tails is able to use his two tails to propel himself like a helicopter Tails is also a mechanic genius and aerial pilot. he has a young pre-teen like voice with a slight rasp. Note: Females can also Audition for this role. The stars are very beautiful. I-I don't know wh-what to Say. Man I really messed up. 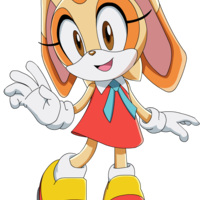 Cream is a young rabbit she is very polite and well-mannered even though she can be childish at times. She is full of curiosity and always tries her best at anything, cream is also not afraid to stand up for herself and will always be there to help her friends. Cream has a soft high pitched voice range. Well, you see, I have... I.. I.. I'm in love with you. 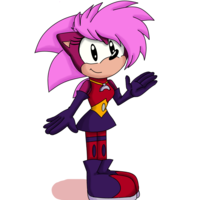 Amy Rose (AKA Rosy the Rascal) is a pink Hedgehog Who is love crazy about Sonic she has a high voice and has a bad habit in swinging a large malate around she hase a cheerful, competitive personality. 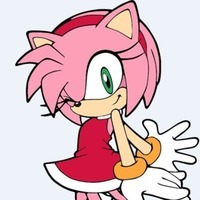 she is almost always depicted as chasing or attempting to find Sonic, and showing him endless displays of affection. If you can try to sound like Lisa Ortiz's version of Amy. Yes, Tails, Good news for the both of you. Come on, don't be so shy. WHAT? YOU DONT FEEL THE SAME? 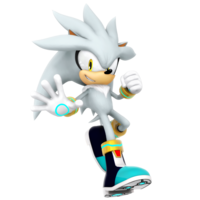 Silver is... well he's a silver hedgehog he tends to shout out IT'S NO USE!!! He has a mid pitched voice tone similar to a 17 year old teen. 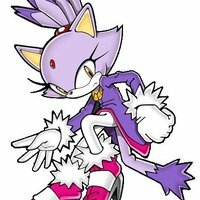 Blaze is portrayed as calm and levelheaded, hiding her true feelings, she sometimes gets herself bogged down by her own discipline which made her anti-social, shy, and unfamiliar to the concept of having friends. 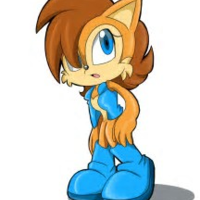 Blaze has a calm and staddy voice, you can go for any blaze voice you see fit. 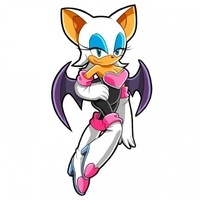 Rouge is a well-determined treasure hunter, she is an 18 year old bat. Rouge can be manipulative at times, but not always. She is a determined treasure hunter who plans to make all the gems and treasures of the world hers. Her voice is mid-pitched and easy going, you can go for any voice you think would be best. Make sure you have lots of fun with those okay? Knuckles is determined and serious but sometimes gullible. He can glide and climb up walls, and is a powerful fighter due to his spiked hands. He serves as the guardian of the Master Emerald, a huge gemstone that controls the series' integral Chaos Emeralds. 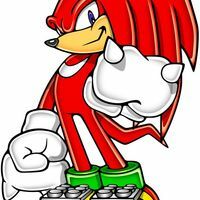 Knuckles has powerful mid pitch voice you can go for which ever knuckles voice you like best. Yo, Sonic! Bet you never saw this coming. 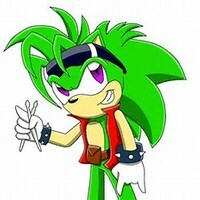 Manic the Hedgehog is a green anthropomorphic hedgehog from the Sonic Underground. He is the brother of Sonic and Sonia the Hedgehog, Manic plays the drums in the triplets' band. Manic has the sly bad boy voice tone. And its here the most glorious gift you ever reserved. You should know me by now bro I just cant give away trade secrets like that. I had forgotten how laboring shopping could be. What? Nah most of it is mine. I know its In here somewhere. It's a locator I made sure it was the latest upgrade. it can detect rings, traps, people, and even Chaos Emeralds.